Madrid.- Ineco ha creado, junto con la empresa Structuralia, el centro de formación on line Aeronautical Technical Training www.aeronauticaltraining.eu, que ofrece cursos e-learning sobre diferentes disciplinas del sector aeronáutico. PALMDALE, Calif. – Nov. 5, 2012 – The Royal Australian Air Force's Chief of Air Force, Air Marshal Geoff Brown, met Northrop Grumman Corporation (NYSE:NOC) executives during a visit to the company's F-35 Lightning II production facility in Palmdale on Nov. 2. As part of his visit, Air Marshal Brown received an update on the F-35 program and observed the first F-35 center fuselage being manufactured at Palmdale for the Royal Australian Air Force as part of the low-rate initial production Lot 6. Photos accompanying this release are available at http://media.globenewswire.com/noc/mediagallery.html?pkgid=15573. The first inlet ducts were jig-loaded on Oct. 9. These will form the first of two Royal Australian Air Force F-35 center fuselages – denoted AU-1 and AU-2 – to be delivered in 2014 for pilot training. Air Marshal Brown toured the Integrated Assembly Line (IAL) that produces the center fuselage. The IAL maximizes robotics and automation, providing additional capacity and assembly capability while meeting engineering tolerances not easily achieved manually. The IAL is one of the ways Northrop Grumman increases the program's affordability by reducing program costs and labor requirements. "We were honored to host Air Marshal Brown here in Palmdale," said Michelle Scarpella, vice president of the F-35 program for Northrop Grumman. "He was able to see firsthand our advanced facility and manufacturing techniques that will help deliver the most advanced and most effective stealthy strike fighter to the Royal Australian Air Force." In 2002, Australia joined the F-35 program. As one of eight international partners on the program, Australia has made significant contributions to the design and development phases of the program, and plans to purchase 100 F-35s. As a principal member of the Lockheed Martin-led F-35 industry team, Northrop Grumman performs a significant share of the work required to develop and produce the aircraft. In addition to producing the F-35 center fuselage, Northrop Grumman also designed and produces the aircraft's radar and other key avionics including electro-optical and communications subsystems; develops mission systems and mission-planning software; leads the team's development of pilot and maintenance training system courseware; and manages the team's use, support and maintenance of low-observable technologies. In 2011, the company delivered 22 center fuselages and is on track to deliver 36 center fuselages this year. It will make its 100th delivery in early 2013. Airbus Military and PT Dirgantara Indonesia (PT DI) have signed an agreement to jointly launch an upgraded version of the Airbus Military C212-400 as a further step in their long term cooperation agreement. The aircraft, renamed as NC212, will be offered to both civil and military customers and will be a highly competitive offer in the market segment of light aircraft, being equipped with new digital avionics and autopilot systems. It will also have a new civil interior for up to 28 passengers compared to the current 25, increasing its cost efficiency significantly. The NC212 will be EASA and FAA FAR 25 certified. The agreement foresees joint development, manufacturing, commercialization and customer support to cover the needs of the civilian, cargo and military light aircraft market segments for the next decade. The potential market in this segment is estimated at 400-450 aircraft in the next ten years. A Final Assembly Line is to be set up in the PT DI facilities in Bandung. This is a further step towards increasing the cooperation between the two long-standing partners. The NC212 is the second immediate result of the "Teaming Agreement" signed between Airbus Military and PT DI, which supports PT DI's revitalization through specific cooperation and business development projects, and aims to achieve a long term strategic partnership between Airbus Military and PT DI in the near future. The recent order for nine CN295s from the Indonesian Government and the related C295 cooperation packages between Airbus Military and PT DI were the first immediate results of this plan, including the creation of a CN295 Delivery Centre, a light CN295 Final Assembly Line and the setting up of a Service Centre in Bandung. Since October last year, both companies have already put in place joint working teams located in the PT DI facilities in Bandung, with Airbus Military having deployed on-site. These teams are working in industrial and commercial areas, focusing on generating new business for both companies and improving industrial capabilities, engineering processes, IT tools and know-how transfer, in order to transform PTDI into a leading aerospace company for light and medium aircraft in the Asia Pacific region. "This is further proof of our increased cooperation with Indonesia. We see a promising future for this very competitive NC212 in many countries worldwide. With the continued support of the Indonesian Government, PT DI and Airbus Military will be able to achieve many and great things together", said Ignacio Alonso, Senior Vice President for Commercial, Strategy and Industrial Relations, Asia. "In this new agreement, PT DI and Airbus Military will work together to manufacture and market the NC212 worldwide, offering a modernized, very competitive light military aircraft. This will result in strengthening the position of PT DI as a leading player in the region, exactly as we have set out to do in our strategic cooperation agreement with Airbus Military," said Budi Santoso, PT DI President Director. In his statement on this event, Boyke Mukiyat, PPA CEO said: "We are very pleased that PT DI is further strengthening its progress in its revitalization process. The increasing success of PT DI's winning more work and with the agreement to launch this upgraded NC212 they are strongly moving towards not only the revitalization but the company's growth goals. PPA fully stands by PT DI to assist its endeavour and provide support on a timely and most efficient basis to allow PT DI to become a leading aerospace company in the region." Airbus Military was informed at the end of this afternoon of an accident of a C295 aircraft of the Algerian Air Force in the area of Lozere in the South of France which occurred around 15h45 hours this afternoon. The aircraft was on its way from Paris, France, to Algeria. There is no further information available at this stage.It has been confirmed that there were 6 people on board. Airbus Military will send a Go Team to the site of the accident to help clarify the circumstances of this accident. TransAsia Airways of Taiwan has placed a firm order with Airbus for another six A321neo aircraft. The new aircraft will be part of the airline's fleet expansion and will allow it to develop new routes to regional destinations. The aircraft will be powered by Pratt and Whitney PW1100G engines. The latest contract takes TransAsia Airways' total orders for Airbus single aisle aircraft to 29, of which 11 have already been delivered. The carrier's single aisle backlog now comprises 12 A321neo and six Sharklet-equipped A321ceo. In addition, the airline also has two widebody A330-300s on order, with first delivery scheduled later this year. "The A321neo is a perfect fit for our strategy to grow efficiently in both domestic and regional markets and is the ideal solution to our fleet needs" said Vincent Lin, Chairman of TransAsia Airways. "With its wide cabin and outstanding fuel performance, the A321neo will bring new levels of comfort to our passengers whilst minimising our environmental footprint." "With the latest versions of the A321 TransAsia Airways will be operating the most modern and fuel-efficient aircraft in the 185-200 seat category," said John Leahy, Airbus Chief Operating Officer, Customers. "The combination of low fuel burn and extended flying range from Taipei will position the airline well to meet its expansion plans across the fast-growing Asian market." The A321neo is the largest model in the recently launched A320neo Family. Incorporating new engines and large "Sharklet" wing tip devices, the A320neo Family will deliver fuel savings of 15 percent. The reduction in fuel burn is equivalent to 1.4 million litres of fuel - the consumption of 1,000 mid size cars, saving 3,600 tonnes of C02 per aircraft per year. In addition, the A320neo Family will provide a double-digit reduction in NOx emissions and reduced engine noise. With more than 8,600 aircraft ordered and over 5,200 aircraft delivered to over 374 customers and operators worldwide, the A320 Family is the world's best-selling single-aisle aircraft family. Airbus and its air traffic management (ATM) subsidiaries – Airbus ProSky, Quovadis and Metron Aviation – together with the EADS division Cassidian, have all been selected to participate in the upcoming SESAR Joint Undertaking (SESAR JU) Integrated Flight Trials. The SESAR JU programme involves a large number of stakeholders in key locations across the North Atlantic and Continental Europe. The seven integrated flight trials involving these Airbus/EADS teams will commence in early 2013 and conclude by the end of 2014. Together they form part of the SESAR JU's on-going 'Atlantic Interoperability initiative to Reduce Emissions III (AIRE III) SESAR Integrated Flight Trials.' AIRE is the joint European Commission and Federal Aviation Administration (FAA) programme which aims to reduce CO2 emissions and accelerate the uptake of ATM best practices and to capitalise on today's aircraft technology. These integrated flight trials will validate technology and procedures to deliver innovative ATM solutions which will be immediately operational, and allow stakeholders to take direct advantage of the benefits. Eric Stefanello, CEO of Airbus ProSky commented: "Airbus, EADS and our ATM subsidiaries are pleased to support the coordination between airlines, airports and Air Navigation Service Providers (ANSPs) in these upcoming SESAR JU flight trials." He adds: "By contributing our teams' collective expertise in air transport and ATM, the trials will help not only to pave the way for further reducing emissions, but also to optimize capacity and demand throughout the North Atlantic and Continental European airspace." • "ATC Full Datalink" (AFD) will demonstrate how commercial flights can be conducted seamlessly through controlled airspace by making extensive use of FANS B+ equipped aircraft allowing voiceless Controller-Pilot-Data-Link-Communications (CPDLC) for routine operations like clearances, hand over and routing instructions. The AFD trials extend the use of CPDLC even below Flight Level 285, which is currently the limit in some European Upper Airspace. AFD is led by ENAV, with consortium members Airbus ProSky, NATS, easyJet, Air France, Boeing, SELEX-SI and SITA. Subcontractors include Airbus. • "New Bridge" is a project designed to sequence air traffic earlier than current operations. The operation is to extend on current airline practices to schedule any aircraft type movements and to provide extended coordination between airlines operation centres and related air traffic control sectors, once movements have actually departed. New Bridge will increase flight efficiency through improved management of sector loads and arrival traffic sequencing by using the maximum time horizon available for the business trajectory. In particular New Bridge will consider the exchange of 4D trajectory information for Unmanned Aerial Vehicles (UAV) with a Civil Air Traffic Centre. New Bridge is led by LFV, with consortium members Airbus ProSky, Swedavia, Estonian ANS, SAS, Novair, Estonian Air, Malmö Aviation, Rockwell Collins France, NLR and Egis Avia. Subcontractors include Airbus and the EADS division, Cassidian. • "Fair Stream" will pave the way for the use of 'target-time-of-arrival' instead of 'calculated-take-off-time' as a capacity/demand balancing measure coupled with traffic sequencing and 'required-time-of-arrival' exchanges. The evaluation and validation will be performed on commercial flights arriving at Paris, Munich and Zurich during time periods when traffic load exceeds capacity and the delays are significant. Led by DSNA, Fair Stream's consortium members include Airbus ProSky, DFS, Skyguide (Functional Airspace Block Europe Central [FABEC] members), Air France, Régional, Delta Air Lines, Lufthansa and SWISS. Subcontractors include Airbus. 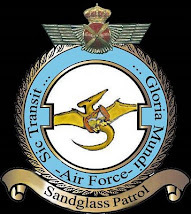 • "Topflight" will develop new procedures designed to allow transatlantic flights from London Heathrow to follow a trajectory as close as possible to their 'reference business trajectories' while remaining de-conflicted and meeting their Arrival Manager sequenced times of arrival. Led by the UK's NATS, Topflight includes consortium members NAV Canada and British Airways. Subcontractors include Airbus ProSky, Airbus and Quovadis. • "CANARIAS" (CO2 and Noise Approach Reduction for International Aviation Sustainability) will take full advantage of RNP capabilities for a large variety of aircraft to demonstrate reduction of track miles, fuel consumption and CO2 emissions through the implementation of Required Navigation Performance with Authorization Required (RNP-AR) approaches at Lanzarote and La Palma airports. The project is led by Quovadis, with consortium members AENA, easyJet, Thomas Cook Airlines and Air Berlin. • "AMBER" (Arrival Modernisation for Better Efficiency in Riga) will demonstrate green flights using the Bombardier Q400: a first in Europe with a regional aircraft flying RNP-AR procedures. The Vilnius to Riga and the Warsaw to Riga routes will be used to quantify the reduction of the CO2 emissions when comparing conventional navigation with direct routings applying Performance Based Navigation (PBN) procedures in the terminal airspace. Amber is led by Air Baltic, with consortium members Quovadis and LGS. • "DFlex" will demonstrate enhanced flexibility to the C-PDS (Collaborative Pre-Departure Sequence) process currently in operation at Paris Charles De Gaulle Airport, by allowing flight reordering based on airline's business requirements. Live trials will be performed to validate slot substitution. DFlex is led by Air France, with consortium members Régional, Delta Air Lines, FedEx, Aéroports de Paris, DSNA and Airbus ProSky. Subcontractors include Metron Aviation. Airbus is the world's leading aircraft manufacturer offering the most modern, innovative and efficient family of passenger airliners on the market, ranging in capacity from 100 to more than 500 seats. Airbus has design and manufacturing facilities in France, Germany, the UK, and Spain as well as subsidiaries in the US, China, Japan and in the Middle East. Headquartered in Toulouse, France, Airbus is an EADS company. According to the latest Airbus Global Market Forecast (GMF), Brazil will need 1,060 new aircraft between 2012 and 2031. The 700 single-aisle, 310 twin-aisle and 50 very large aircraft forecasted have an estimated current market value of $160.7 billion and are expected to help meet the demand of domestic and foreign carriers as well as addressing the country's rapidly growing air travel market. With a GDP currently growing above the world average, socioeconomic indicators predict Brazil's economy to more than double over the next 20 years. The country's domestic air traffic market, has doubled since 2006, helping make Brazil the fourth largest passenger traffic market worldwide, following the US, China and Japan. International traffic has grown by 34 percent since 2009, with foreign carriers largely making up the increased market share. As a key destination for international tourism and one of the world's top 10 metropolitan areas, more than a third of long-haul traffic to Latin America arrives through Brazil, making Sao Paulo and Rio de Janeiro the region's major gateways. To address increased demand, very large aircraft, such as the A380, are now poised to meet international air traffic requirements needed to serve long-haul flights to Brazil. "Each day, Brazil becomes a stronger candidate for the A380," said Rafael Alonso, Executive Vice President of Airbus for Latin American and the Caribbean. "Capable of carrying 525 passengers in a three-class configuration, the A380 is the best solution to alleviate Brazil's increasing air traffic congestion. Because of its unbeatable unit costs and performance, the A380 should be the clear aircraft choice for airlines operating into Brazil, especially in light of the upcoming World Cup and Olympic Games." According to the World Travel and Tourism Council, Brazil's tourism industry is and will remain an important contributor to the economy, with more than 5 percent contribution to the country's GDP and nearly 3 percent contribution to its employment. According to the Airbus GMF, in the next 20 years Latin American airlines will require more than 2,100 new aircraft, including 1,660 single-aisle, 420 twin-aisle and 40 very large aircraft, estimated at approximately $242 billion. Globally, by 2031 some 28,200 new aircraft valued at $4.0 trillion will be required to satisfy future robust market demand. With more than 700 aircraft sold and a backlog of almost 350, over 450 Airbus aircraft operate throughout Latin America and the Caribbean. In the last 10 years, Airbus has tripled its in-service fleet, while delivering more than 60 percent of all aircraft operating in the region. Airbus has become the first commercial aircraft manufacturer to deploy Radio-Frequency-Identification (RFID) part-marking to aircraft components on all its aircraft families. This innovation, which will bring value-chain visibility, error-proof identification and efficiency savings in component lifecycle management, will be progressively rolled-out in 2013 to all seats and life vests for the A320, A330 and A380 aircraft families. The annual volume of this RFID part marking extension is estimated to reach 160,000 RFID tags, roughly split across 120,000 life vests and 40,000 seats for these aircraft families. This complements the existing RFID part marking initiative on the A350 XWB which is already underway. Tom Williams, Airbus' Executive Vice President, Programmes says: "Permanent RFID part marking is an answer to the growing need for efficient and error-proof identification of aircraft components throughout their life." He adds: "The use of RFID part marking will enable the automation of multiple operational processes and is a benefit for all involved in managing the component during its lifecycle: vendor, integrator, airline and MRO." The scope of efficiency savings with permanent RFID part marking is substantial. For example, in the past, each one of several hundred life-jackets and seats in the cabin would need to be manually checked and noted, necessitating lengthy manual data entry. But as each Airbus aircraft will soon come pre-equipped with RFID tags on these parts, just one person can read the RFID tags within a few minutes using a lightweight hand-held RFID reader. The process automatically confirms the presence of each required item, verifies its location and looks-up the associated data about the part (e.g. maintenance history, expiration date etc.). This information can then be used to determine the aircraft configuration and prioritise maintenance planning for items due for inspection, overhaul or replacement. 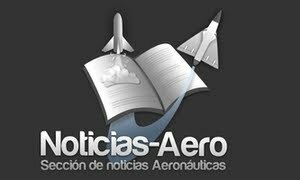 Conferencia SAE: "El programa Sesar:El futuro sistema de control de tráfico aéreo europeo"
"EL PROGRAMA SESAR:EL FUTURO SISTEMA DE CONTROL DE TRÁFICO AÉREO EUROPEO. LA MAYOR OBRA DE INFRAESTRUCTURA EUROPEA"
Clean Sky Program Extended At ILA Berlin: Public-Private Partnerships Overwhelmingly Favored By Conference Participants During ILA Berlin on September 12th, the Clean Sky Joint Undertaking and the European Commission jointly held an Industry Consultation about the extension of Clean Sky under Horizon 2020. Gathering around 120 representatives and stakeholders from across the aerospace industry, it provided an excellent forum for discussion and attendees had the opportunity to get a better insight about the progress and current proposal on Clean Sky 2. Airbus ATM Teams To Participate In SESAR JU Integrated Flight Trials: Paving The Way For Reduced Emissions, Optimizing Airspace Capacity Throughout The North Atlantic And Continental Europe Airbus and its air traffic management (ATM) subsidiaries – Airbus ProSky, Quovadis and Metron Aviation – together with the EADS division Cassidian, have all been selected to participate in the upcoming SESAR Joint Undertaking (SESAR JU) Integrated Flight Trials. Hacia las 15:45 horas de ayer viernes, día 9 de noviembre, se produjo un accidente de un avión biturbohélice Airbus Military C295 de la Fuerza Aérea argelina en el Departamento de Lozère (Francia), cuando procedía de París con destino a su país con seis personas a bordo: cinco militares y un civil. On the 11th hour, of the 11th day, of the 11th month, in 1918, the guns ceased. III Seminario Aero San Telmo: en busca de financiación para el sector: El pasado Jueves 8 de Noviembre tuvo lugar en la sede del Instituto Internacional San Telmo la tercera edición del Seminario de Negocio Aeronáutico que organiza la escuela de negocios. Según el contenido de la sentencia hecho público por el portal de viajes, “Ryanair ha incurrido en un acto de competencia desleal por denigración tipificado en el artículo 9 de la Ley de Competencia Desleal con la realización de declaraciones que califican de ilícita la actividad de Atrápalo S.L ”. Madrid.- La compañía aérea española Iberia recortará su plantilla en 4.500 personas, prescindirá de 25 de los aviones de su flota y reducirá su capacidad en un 15% en 2013, según el plan anunciado el pasado viernes para salvar la empresa “que está perdiendo 1,7 millones de euros diarios”, según anunció el pasado viernes su consejero delegado, Rafael Sánchez-Lozano.